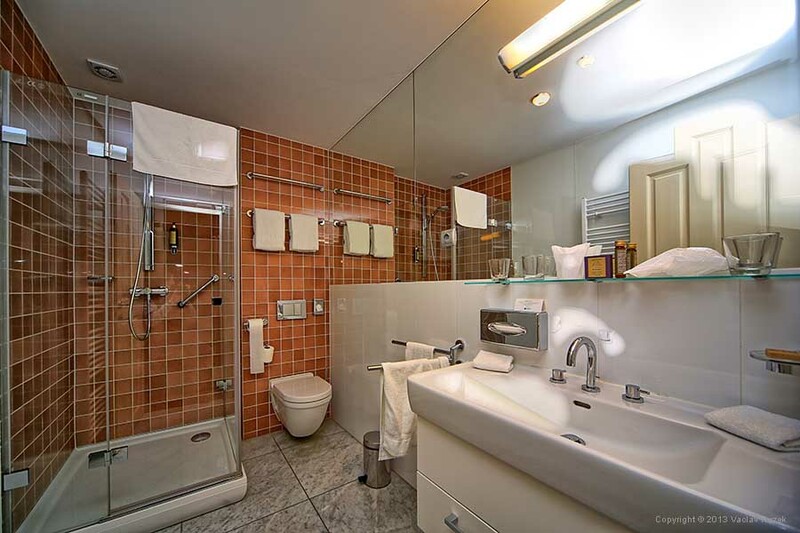 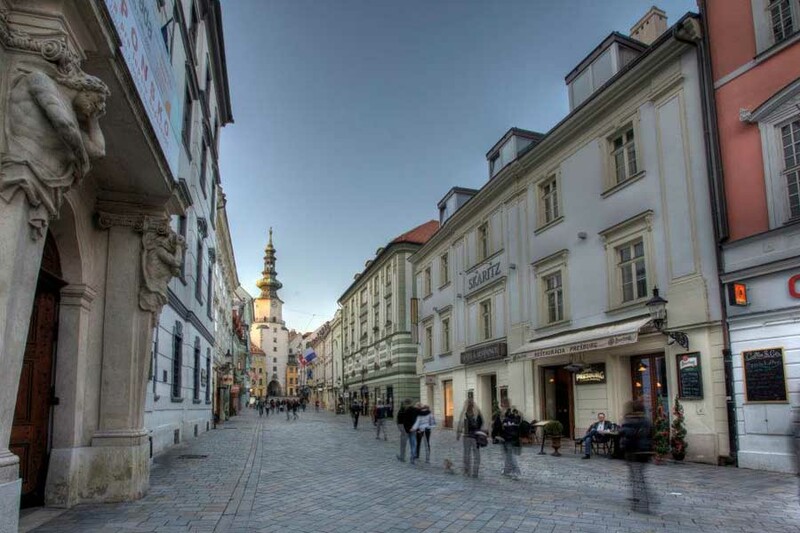 Whatever the reason for your visit to Bratislava is, Skaritz Hotel & Residence is the right place to make your trip special every time.Located in the pedestrianised area of the Old Town and on the most popular Michalska Street, our downtown hotel is an ideal starting point for all your business or leisure plans. 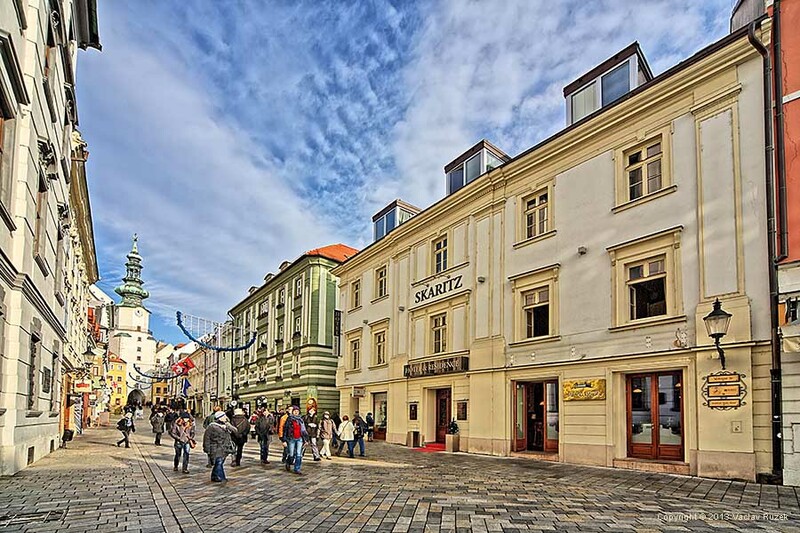 The Skaritz Hotel & Residence is a beautiful Old Town boutique hotel overlooking the scenic pedestranised Michalska Street. 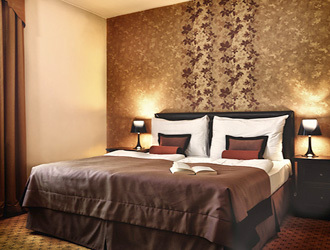 All 20 guestrooms are non-smoking. 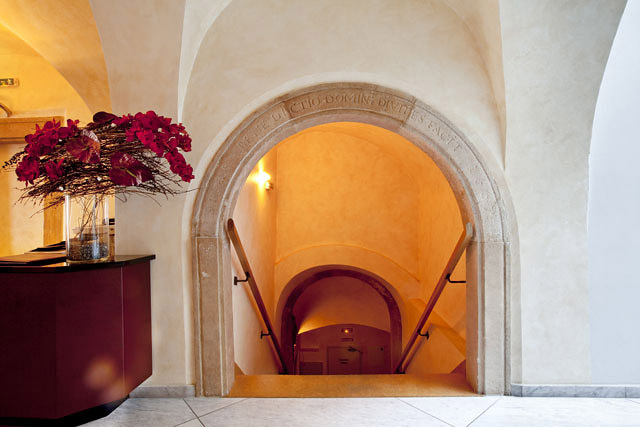 The first 2 floors are evocative of the last couple of centuries due to their stylish decor and interior design. 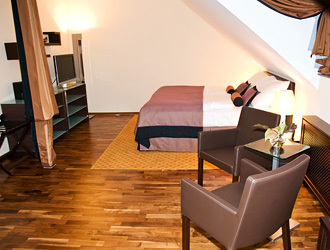 The top floor has been designed in a fresh modern decor. 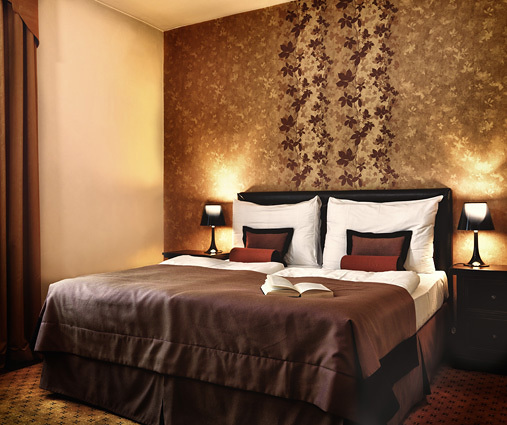 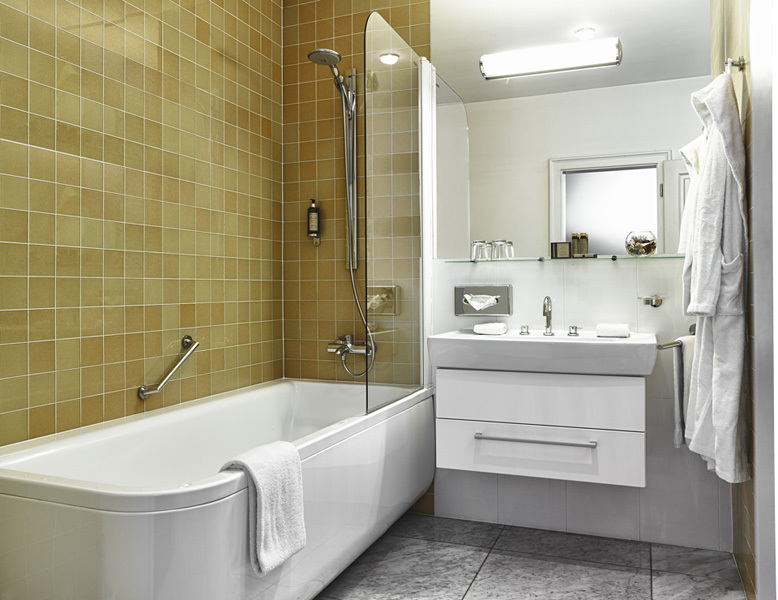 All guestrooms provide the latest in-room amenities for your convenience and comfort. 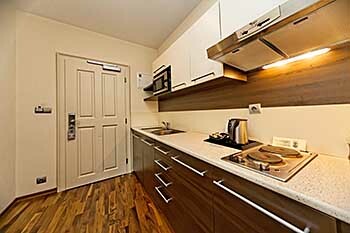 In addition, our 6 apartments are equipped with kitchen and dining facilities. 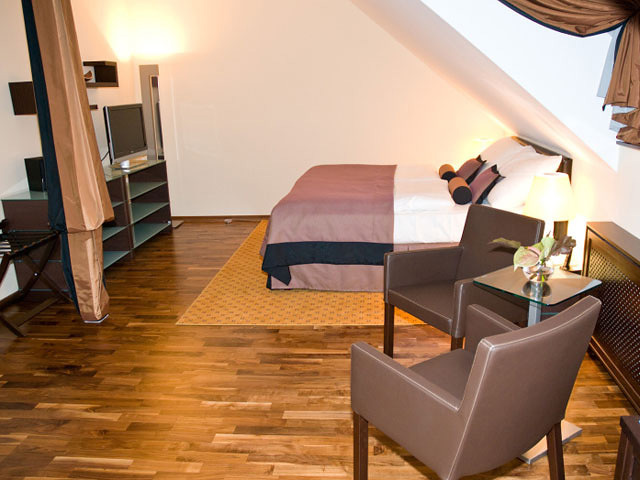 Our serviced apartments are prepared to provide you with the best comfort also for long stays. 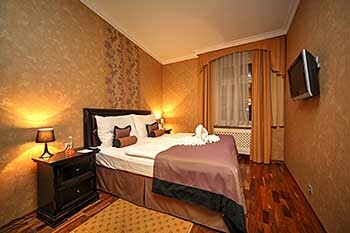 Room facilities: WiFi, high speed internet access, LCD TV, Safe-deposit box, satellite TV, DVD, CD, MP3 player, alarm clock, AM / FM Radio, Desk with electrical connection, internet connection and lamp, Shower and bath combined with shower, Hair dryer, Coffeemaker, Iron and ironing board, Wardrobe, Special pillows, View to the pedestrian street, Non-smoking rooms-all, Daily cleaning, Electronic locks, Smoke detectors, Air conditioning and Minibar. 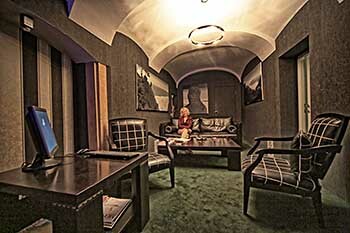 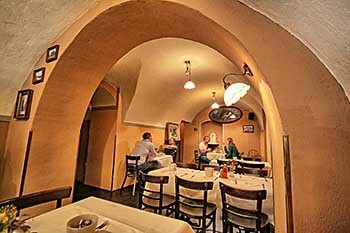 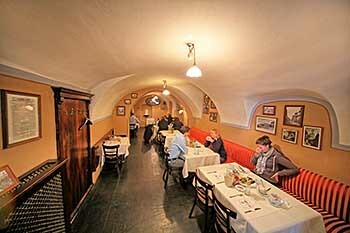 We have created a blend of services which are unique among all Bratislava hotels. As well as the regular guest and business services, we offer classic swedish massage. 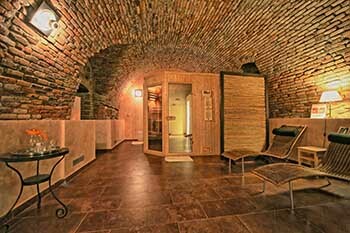 In addition, we offer free access to high speed Internet, the sauna . 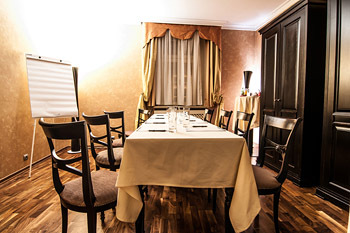 In-house Restaurant & Lounge, Room Service, Buffet Breakfast, Meeting Room (10 persons), Business Centre (24-Hour), Massage, Sauna  free access, Parking  non available on site, secured underground parking only a 2 minute walk away, located in Ursulinska Street, Front Desk open 24 hours, 24-hour Security by Surveillance Cameras, Laundry Service-charged, Hotel Laundry Facilities and Elevator. 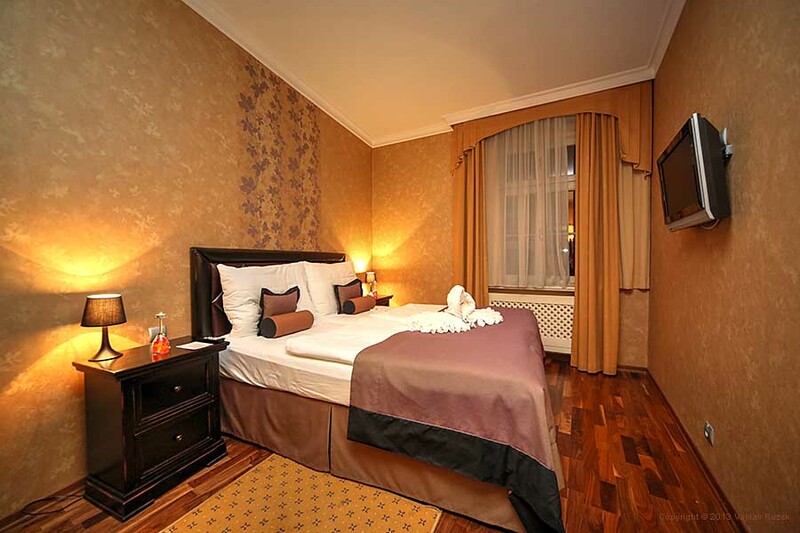 SKARITZ Hotel & Residence offers a suitable solution for our guests traveling for business reasons. 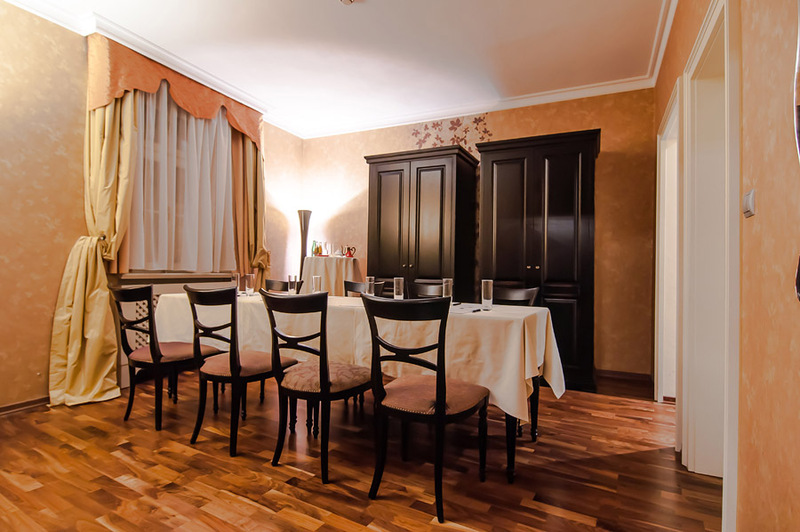 In addition to our comfortably furnished apartments, we offer for our guests the possibility of other business services also for demanding business guests. 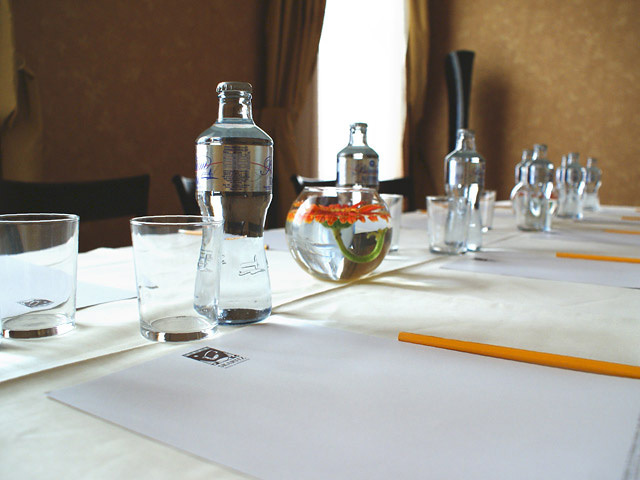 For our guests we have prepared the possibility to use our conference room for small business meetings or business negotiations. 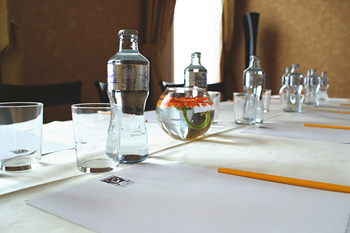 Conference room equipment: air conditioning, wi-fi, computer technology, television projection for presentations and flipchart. Room capacity is max. 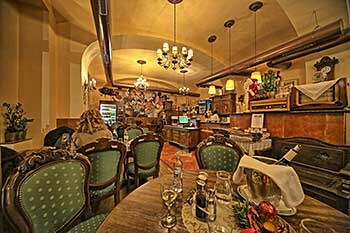 12 people. Our hotel provides the only high quality restaurant offering original Prespork cuisine  a must for each traveller dining in Bratislava. 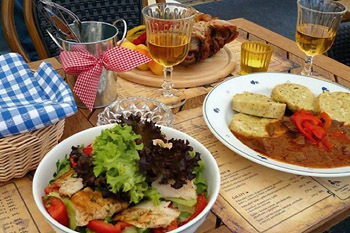 Prespork cuisine stands for a unique mix of Slovak, Hungarian and Austrian dishes. Each morning we prepare for our guests a tasty buffet breakfast in our Preburg Restaurant. 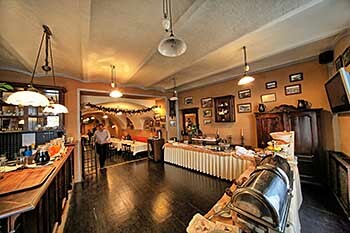 We adjusted the structure of it upon guests requests to make all your mornings pleasurable and delightful. 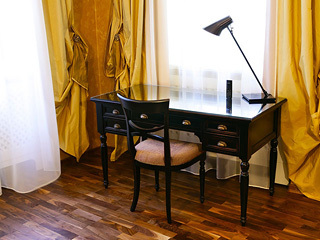 Let us help you to have a great start to your successful day! 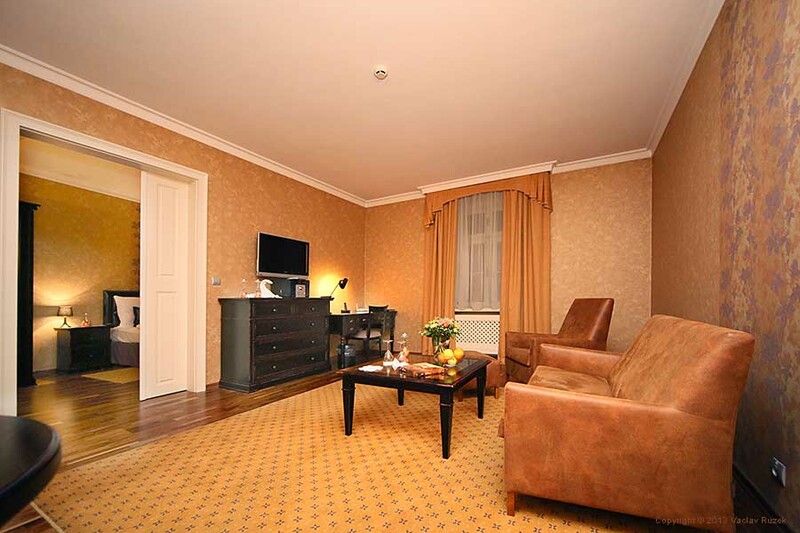 It will be our pleasure to deliver our delicious meals or breakfast into your room or serviced apartment. 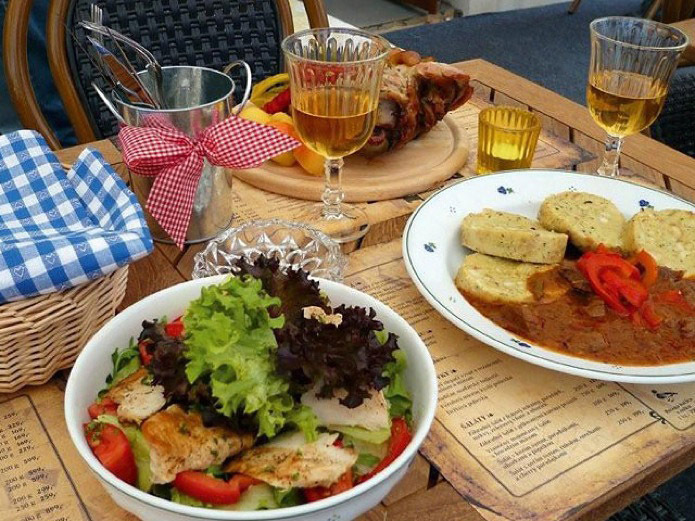 This will be prepared for you on your request as displayed in your guest handbook. 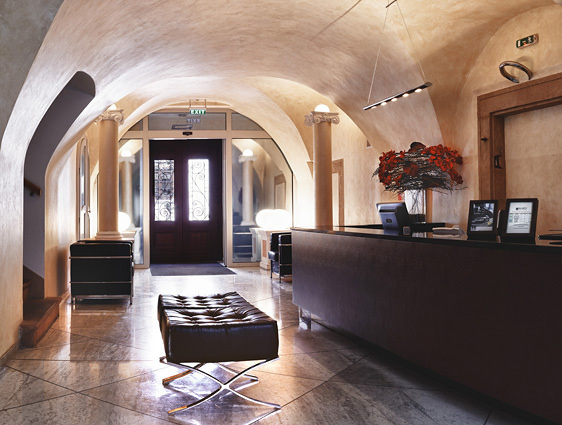 In order to enhance the well-being and comfort of your stay, we have created a unique place of relaxation, calm and wellness in our hotel. 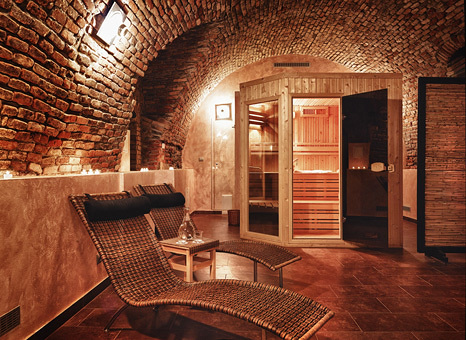 And here we offer classic Swedish massage exclusively enriched with beautifully scented healing oils of the natural  Weleda and a cosy and stylish Finnish Sauna. 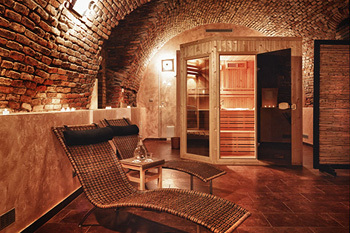 Sauna is complimentary for all our hotel guests. Price include breakfast, VAT and all taxes.